← Can the Dutch teach us something on the power of communication? In many fields, organizations evaluate or audit themselves to improve the way they operate. Because it is difficult to critically analyze from within, such an evaluation often requires going outside the institute (and sometimes the country) to find one who can shed light on the embedded norms, assumptions, methods, protocols, values, and policies that have been in practice for years. A view from the outside can further offer new perspectives and fresh ideas going forward. This process arguably could not be more important than in the field of flood safety. At the end of May, I had the opportunity to participate in such an examination of two old and very important institutions in the Netherlands and the United States. I want to share a post about this because prior to last year, I knew only that the Army Corps of Engineers and the Rijkswaterstaat had heard of each other. Until this year, I didn’t understand the relationship the two agencies had cultivated with one another and the steps they are taking toward improving their own programs, and I think more people would be interested to know this was ongoing. In light of much Corps criticism in the aftermath of Hurricane Katrina, it bodes well for both the agency and the United States that the organization has been taking such a proactive step to improving practice and policy. In reflecting on the experience, I think we have reason to be optimistic for the future direction of flood management and safety in the United States as lead by the Army Corps of Engineers (Corps). 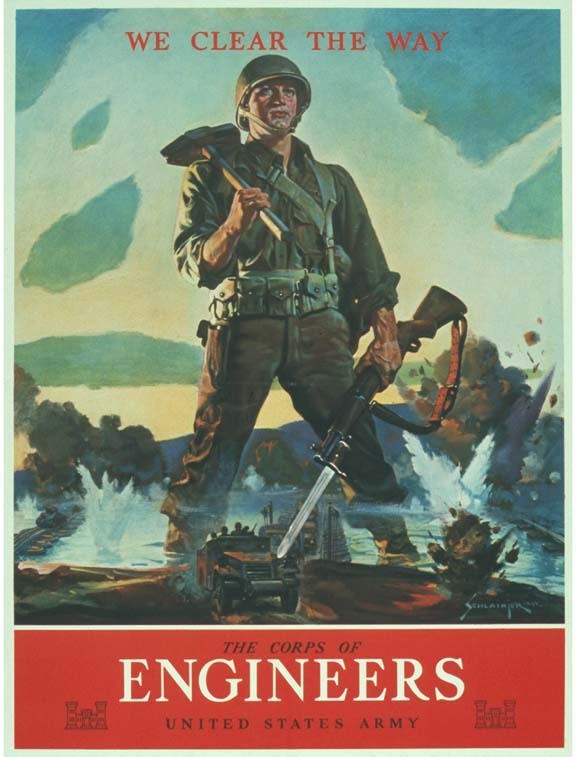 The Rijkswaterstaat (RWS) and the United States Army Corps of Engineers were created only a few years apart back in 1798  and 1802 respectively for roughly the same purpose: maintaining waterways and navigation at the federal level. Eventually both institutions have evolved and adopted additional responsibilities including flood safety, infrastructure, and environment. Where the Dutch have an international reputation for flood defense, it seems only a fitting country to be part of such an exchange. While there are inherent differences between the two organizations, their similarities make the two institutions comparable and ripe for collaboration. Roughly 10 years ago, the Rijkswaterstaat (pronounced “rikes water stot”) and the Corps signed a Memorandum of Understanding (MOU) that catalyzed a partnership to share knowledge and expertise aimed at improving water management (and safety) in both countries. The program stepped up the intensity a notch after Hurricane Katrina, which, with the utmost respect for those in New Orleans, also provided an opportunity for the United States to start fresh with the way at least at the Federal level, the country would choose to manage floods. There are two components so far to this exchange. 1–The first is swapping people longer term. Last year, someone from the RWS staff spent one year at the Risk Management Center (RMC) in Denver (a specialized group within the Corps). 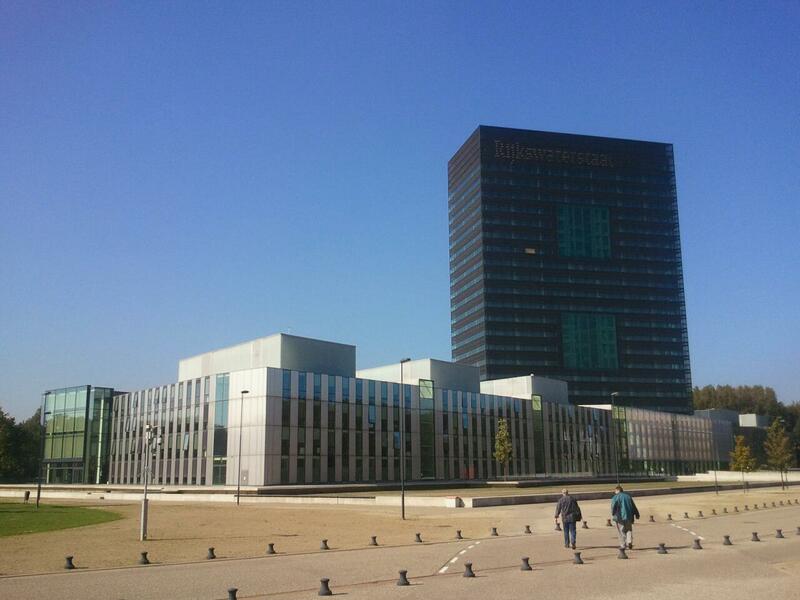 This year, someone from the RMC who sits at the Hydrologic Engineering Center in Davis spent a year at the Rijkswaterstaat in Utrecht. Under the frame of Levee Safety, this exchange is to observe methods, approaches, policy implications, and to transfer the other country’s approach to their own cases. The highlight of this meeting for me was participating in a really interesting SWOT (Strengths, Weaknesses, Opportunities, and Threats) Analysis. The Dutch had 15 minutes to present the VNK Project—which aims at quantifying flood risks for all dike rings in the Netherlands. The assessment is with respect to the probability of dike failure combined with economic damages and loss of life associated with that failure. The Corps of Engineers in 15 minutes presented the results from the Base Condition Risk Assessment– the (relatively) new Corps method to assess likelihood of inundation (based on specific failure modes) and the consequences of inundation including economic damage and loss of life. After each presentation, the Dutch and Americans both separated to discuss and critique each others’ method. They finished off the morning by openly discussing Strengths, Weaknesses, Opportunities, and Threats. I sat with the Dutch. It was evident to me from the tone in the room that both institutions have developed an air of collegiality, friendship, and trust in one another which left them both open to really give and receive honest criticism. This, I believe will lead to even more improved methods in risk assessment and safety in the future. Not going into detail, there were similarities and differences between the methods, as well as limitations and strengths.While I have the utmost respect for Dutch engineers and risk assessment tools, this exercise highlighted that the United States is not “ages behind” the Dutch, though we often hear ourselves compared to them. I’m borrowing this quote from a presentation of one of the Corps group members. He used this reference to make the same point–that our engineers are constantly being compared to the Dutch. In fact, there were areas where the Corps approach could be seen as stronger and more comprehensive than the Dutch approach. The engineers, geotechnical engineers, hydrologists and consequence specialists are very intelligent and competent in both institutes. Similarities: Both methods aim to quantify risk by estimating the likelihoods and consequences of failure. Differences: The Corps approach emphasizes more human expert judgement and the RWS approach relies more on a rule-based approach. What would happen if it did fail in this way? They then develop specific risk reduction measures for specific failure modes. One downside is the question about when those experts retire from the Corps of Engineers. I forget the number exactly, but the percentage of Corps (and other Federal) employees nearing retirement is shockingly high. Will their replacements be of equally excellent caliber? Will the new ones have the same understanding of how the system works? On additional limitation it is rather time-consuming to make specialized assessments across a country as large as the United States. VNK: The Dutch use a probabilistic approach that combines many failure modes to generate one generic levee-failure mode used for the entire system in the Netherlands. The limitation to this is that it is not specific to an area, so arguably the actual failure mode and consequences could be different from what is projected. Given risk reduction measures are often based on the risk assessment, this could lead to inappropriate risk reduction measure. But a strength of the method is that the VNK method can be applied consistently across the entire country to estimate risk more quickly than a specialized and personalized assessment for each dike ring would. Both received criticism well and made notes for discussions upon returning to post. There will be a follow up again in 6 months where they repeat the process and comment on changes made since the last meetings. Gaps: The discussion in my meeting focused on likelihoods and consequences of levee failures–and the likely (traditional structural) actions to be taken to reduce those risks associated with levees. One area that was not discussed in the levee safety group (where I participated) was the integration of environmental aspects into overall risk assessment. This to me, would include the risks to ecosystems, as well as using ecological restoration to reduce flood risk such as in floodways or bypasses. State wildlife officials and volunteers wrestle a 200-pound green sturgeon that was stranded Tuesday in the Yolo Bypass near the Fremont Weir after high water dropped. “It’s not every day you get to be hands-on with a threatened species,” said Erin Aquino-Carhart, an environmental scientist at the Department of Fish and Game, of the green sturgeon. Both countries rely heavily on structural measures to reduce risk, and have a component of “room for the river” in their management practices. But it would have been interesting at the end to combine both the Room for River group with the geotechnical and Levee Safety group for a comprehensive discussion on risk and risk reduction. Maybe there are ways to share the costs for risk reduction and ecosystem restoration projects considering the requirement for environmental mitigation anyway. I haven’t personally done such a back-of-the-envelope calculation, but it might be interesting fodder for discussion. After giving a lecture to a research institute on an overview of California water (supply, environmental, flood risk, and political issues), a Dutch engineer asked me why not solve our water supply problem by just closing off the Golden Gate and turn San Francisco Bay into a freshwater reservoir? 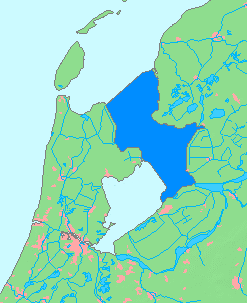 (as they had done in the IJsselmeer on the left). My internal initial reaction was something to the effect of, “well, because that’s just plain ridiculous,” but I realized that would not be a satisfactory answer. Instead I took a moment to think about it a bit more and rather chose to explain a number of environmental laws passed through history, in the region, and including stakeholder values (not to mention litigation, litigation, and litigation) that would likely prevent something like this from ever going forward. In retrospect, however, I don’t know if his idea was so far gone, considering a similar plan was once proposed (and the Corps even completed a feasibility study in early 1950s) called the Reber Plan and the San Francisco Bay Project. I imagine that in the coming years as we are faced with even more water-related concerns including safety, supply, quality, ecosystem, and decreasing budgets, we will be forced to collaborate with others (perhaps overseas) to innovate and think outside the box to avert catastrophe. Not doing so would be a disservice to ourselves. Therefore, I believe the ongoing partnership with the Rijkswaterstaat is a proactive and critical component to forward-moving flood management policy in the United States. Perhaps there are other arenas that could benefit from such an exchange. Rest assured your tax-dollars (and euros) are being well spent. Jessica Ludy is an independent researcher with Unesco-IHE, a Water Resources Planner with ARCADIS, and a Fulbright Scholar in Flood Risk Management at Delft Technical University, the Netherlands. She was formerly the Associate Director of Flood Management at American Rivers in Berkeley, California, where she worked to promote sustainable flood management strategies in regional, and state, and federal agencies. Jessica has also been a lecturer and researcher at UC Berkeley in the Department of Landscape Architecture and Environmental Planning. Jessica grew up on the Great Lakes in Michigan, earned a BSc at the University of Vermont in Environmental Science, and an MSc in Environmental Planning from the University of California, Berkeley. This website is not affiliated with the Fulbright commission, ARCADIS, TU-Delft, Unesco-IHE, or American Rivers. 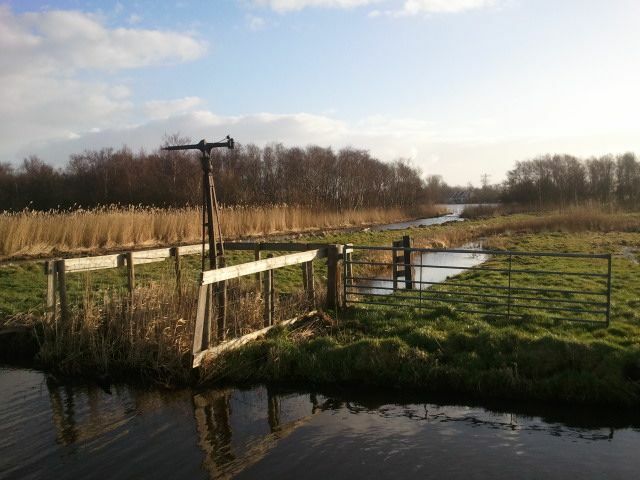 This entry was posted in Flood Risk Management, Loss of Life, Uncategorized and tagged consequences, flood risk, levee, Rijkswaterstaat, risk assessment, United States Army Corps of Engineers, VNK, Water. Bookmark the permalink.